Senior Softball pitcher Kelly O'Brien named Player of the Week; Reaches career milestone! It's been a great week for senior Kelly O'Brien. On Monday, she was named Lohud Softball Player of the week for her pitching dominance in victories over Pearl River and Rye Neck. Kelly pitched 2 complete games (one shutout) and struck out 29 batters in 14 innings. 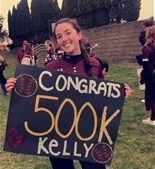 Then on Thursday, Kelly reached a new milestone - her 500th career strikeout placing her 2nd All-Time. We wish Kelly and the rest of the Lady Falcons best of luck the rest of the season! 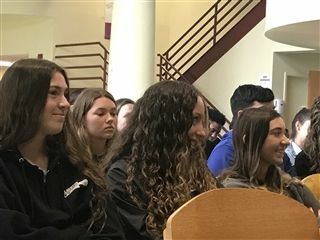 Today, Friday, April 5, our juniors boarded a bus to the Dominican Convent of Our Lady of the Rosary in Sparkill for their retreat. Check out the pictures. 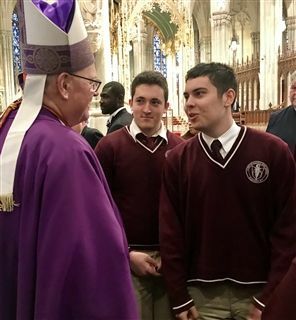 Thursday, April 4th, our seniors took our traditional annual trip to St. Patrick's Cathedral in New York to celebrate Mass with other schools from the Archdiocese of New York. Cardinal Dolan was the celebrant. They got to enjoy some free time in the city after Mass. Check out the photos.